Over the past number of years, the mental health of Ireland’s youth has become a pressing issue and, in the past 18 months alone, is now finally beginning to get its recognition as one of Ireland’s most pressing issues. 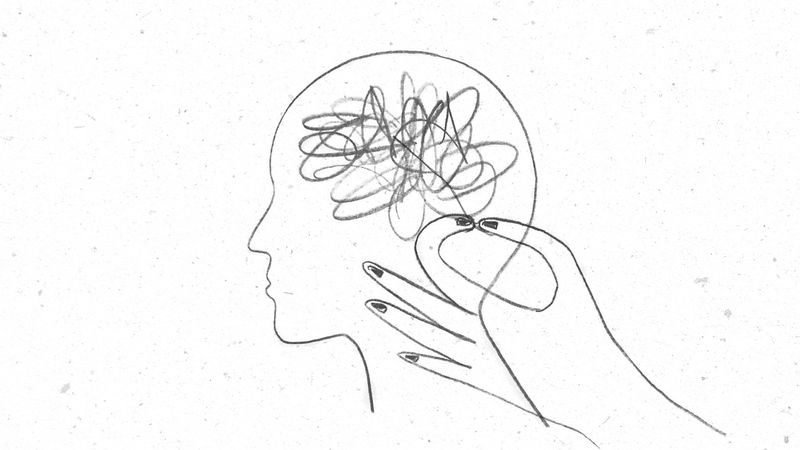 In February of this year, it was reported by the Association for Higher Education Access and Disability that there has been a 46% rise in the number of university students reporting to healthcare professionals in relation to mental health issues. While this is an alarming rise, it’s regarded as a positive that students now have the courage to come forward with their issues, and seek help when they feel they need it. While the increase is positive, it’s inarguable that there are more out there, in universities across the country, struggling in silence due to the stigma still held surrounding mental health issues in Ireland. 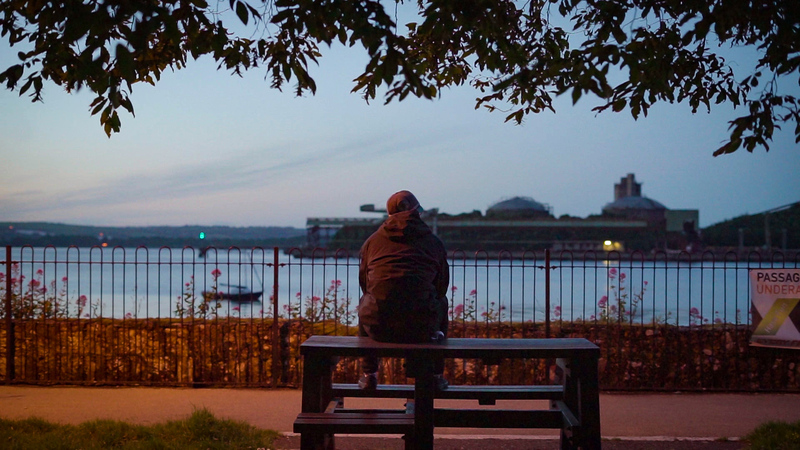 A recent documentary by former CIT student Edvinas Maciulevicius looks set to break down some of the stigma still remaining around mental health while focusing its attention on universities, and what services student can access if they find themselves struggling with mental health issues themselves. ‘My Other Life: Ireland’s Youth and Their Mental Health’ is set to be screened in every university in the country prior to its national premiere on RTÉ 2 on Wednesday the 10th of October at 22:30. At 23 years old, having your directorial debut on national television is already an incredible achievement for Edvinas, but to use this opportunity platform to shed light on such an important issue is something to be admired. The University Express had the chance to sit down with Edvinas between edits to discuss his own film-making credentials, the documentary, the process behind its creation and how RTÉ was delighted to offer their support. Was your family very into films growing up as a child? My grandfather would have had an artistic flair, so did my mum. I was always kind of leaning towards the arts. I wanted to be an architect or an artist my whole life, except for…I thought I was going to be an architect right up until the point I filled in my CAO points, and then I looked further into the profession, and, just, it seemed like the time needed to become an architect was seven or eight years and I couldn’t wait that long, so I went for multimedia instead, because I wasn’t sure what I wanted to do. I just knew I wanted to be in the creative industry. I Didn’t even think about film, actually, until we had a compulsory one-minute short video to make at the end of first year, and it hit me like a shovel in the head. I was like…this is it. Then I went to Germany for a year, studied film there, came back to do Multimedia in CIT, and wasn’t feeling it at all after being a year abroad. I was kind of struggling to do all the coding modules, and…it was mostly the coding, really so instead I deferred from college and just went to do this movie. I was failing one of my lecturer’s classes in a module but I’d meet with him once or twice a week to discuss this other film project I was doing on the side and eventually he came to me and said “Ed, just do it” and I haven’t looked back since. How big was that year in Germany to your art and how you make films? Does it have that more European feel compared to other people of a similar age who haven’t gone away from Ireland for a year? It’s kind of hard to tell, but I’ll tell you this way, I didn’t know that much about filmmaking, only what I learned from one film module in college and stuff that I was reading up about it. When I went to Germany I was really throw in the deep end, and I had to learn how to swim pretty fast or drown, you know? Everyone else’s standard was much higher, but I’d always been a go-getter. I always wanted to direct things, I wanted to make things, and run the show, so I ended up directing a couple of projects there, and that really forced me to bring up my standards over the space of the year to where the other guys were at. Well, maybe they’re still a bit higher, but in terms of the style of it? I actually don’t know is the honest answer. European film seems kind of…artsy. I mean, this is my first film, so my style is still to be defined but we’ll know ten movies later, I guess! So tell me about the movie. Tell me how the process began. After coming back from Germany, I was eager to start on some creative project, hopefully a movie. It was in a student kitchen up on College Road, me and a friend were sitting down having a chat, and I was like, “Here’s what I’m thinking of doing, I want to do some kind of documentary. I’m not sure what exactly it should be about, but I’d like for it to have some kind of positive impact. Let’s pick an issue that hasn’t been covered before”. I Initially looked at drug abuse and addiction, because I saw a couple of headlines in the press that caught my attention, but then the more we looked into it, the more we saw that mental health was the umbrella for all these issues, and then when we started looking into mental health it became really clear, really quick, that this is the issue we should cover. Someone needed to shed some light on the subject. The more we looked into it, the more we saw how actually relevant it was to the people around us. More So than we expected. Who’s funding the documentary or, even better, who funded it at the beginning of the project? Basically, an issue we had when we started making this movie: A) We didn’t have anyone to interview. B) We didn’t know how to find people to interview, because we were, essentially, nobody. We were three or four of us in a student kitchen trying to figure out, “Okay, let’s make a film about mental health”. Initially, we had no budget for it whatsoever, or researchers, not even a camera. We had nothing. So I said, look, let’s release a video online saying what we’re going to do and seeing if there’s an appetite for such a film, see what response we get. So we made a short two-minute clip basically stating, “This is the problem, this is what we want to do about it”. We borrowed what equipment we could, I took a small loan out, got a camera, we shot a small two-minute clip in Crane Lane because they were just nice enough to let us use the venue, released it and it got a bit of traction, it got a couple of hundred thousand views and really it all kicked off from there. We got a couple thousand followers is a week, and we went from “These guys want to interview people” to having something incredible behind us. At that point, I said, well, if we want to get some researchers, let’s leverage this audience to raise some funds for it, and a couple of months later we released a funding campaign. We aimed to get 1500 euro in total and within the first week we had hit that mark, and within a month we had a couple thousand euro, so it was enough to make the film, but in hindsight, I should’ve just reached higher. That’s the big lesson for this, have bigger ambitions, because you’ll definitely get there. So the initial funding came from backers, from generous members of the public. We’re forever grateful to those initial people, because, without them, none of this could have happened. How quickly did that money run out, that initial couple of thousand that was raised funding-wise? In the beginning, we were being very lean, we were very naive, actually. As you can imagine, never made a documentary before, didn’t even know what our movie budget would even look like, so I figured, look, we just raised fifteen hundred euro, we’re not being greedy. It would be enough for me to buy a lens, to buy a microphone, and to cover travel costs if we were to go to Dublin, and get a set of lights too and that’s exactly what we did. It was just about enough money to do exactly that: cover travel costs, get the basic equipment, because everyone that was in the movie was doing it out of sheer goodwill and because they believed in the cause more than anything. We actually had the movie more or less finished, it was about 85% there with that budget. All the interviews were there and that’s really the core of the documentary, its the content of the interviews, these people and what they’re opening up and talking about. So I brought that almost-finished product to RTÉ and said, essentially, I think this is a good story, I think it’s good enough to go on TV, and, gladly, they thought the same. Then they gave us a completion fund to bring it up to TV standards, but we were able to finish the movie with that initial budget. How easy was it to get the likes of Maynooth, Trinity, and all these big universities on board for the pre-screening? It wasn’t too difficult, but I was lucky enough to meet the right people at the right time. I was put in touch initially with Aaron Buckley, who’s the current student president for CIT. He was very happy to be involved in it, he was very eager and willing to jump on board and help out. It was through a conversation with him that we came up with the idea of doing a screening in every college in Ireland, and he really pushed that idea forward with members of the USI, and then Alan Hayes [UCC Students Union President] joined us along the way, so it wasn’t too difficult on my end, I just happened to meet the right people and they were very helpful. What’s would you say your favourite scene of the whole documentary is? Well, on television, it’s split into three parts. My favourite part is definitely the last one, which is the resolution. It’s one that shows that there is hope, that if you’re struggling with depression or anxiety or any mental illness, these people, by sharing their stories, say, “look, I’ve gotten better and so can you, there is hope. You just have to reach out, you just have to talk to people.” So my favourite scene would definitely be one coming close to the end, where people talked about their resolutions and how things got better. You’ve also got a survey coming out alongside the documentary have you not? Yeah, so we’re all hoping to roll out a survey, post-film, to measure the impact of the film. We’re doing this in collaboration with the NSRF, the National Suicide Research Foundation, which is located in the Western Gateway building. So our website is live and there’s a small ‘about’ section where you can reach out for help and also a survey on the impact of the film. With this survey, we’re basically hoping to take the data from the people and the team that are doing the research, who are just amazing, they’re gonna make up a research document that may have a tangible impact on policy in relation to mental health in Ireland, including information that will help policy-makers make better judgements and better decisions in the future. I hope this documentary doesn’t just have an impact on the personal level, but that it has a real tangible impact on mental health in Ireland as well. Since you started this project, have many people reached out you to personally about these issues, to say they’ve been struggling? There’s been a couple, but I guess the most relevant would be Cathal. 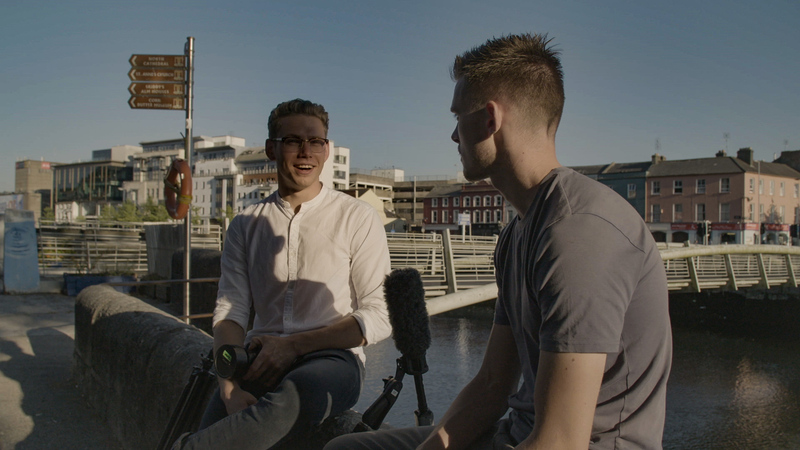 Cathal Murphy, he’s been there since the very beginning, alongside with me, helped me produce the film, was present for every interview, and it was only six months into the production that he opened up to me about his own struggles and that he’d been struggling with his own mental health. It really took me back, that someone that had been working so closely on this project had been struggling and I had never known about it, and it goes to show how much shame may still be associated with mental health. I’m hoping once the film is out…it’s in the film that he opens up as well, I don’t want to give too much away. But hopefully this will go on to get rid of some of that shame. 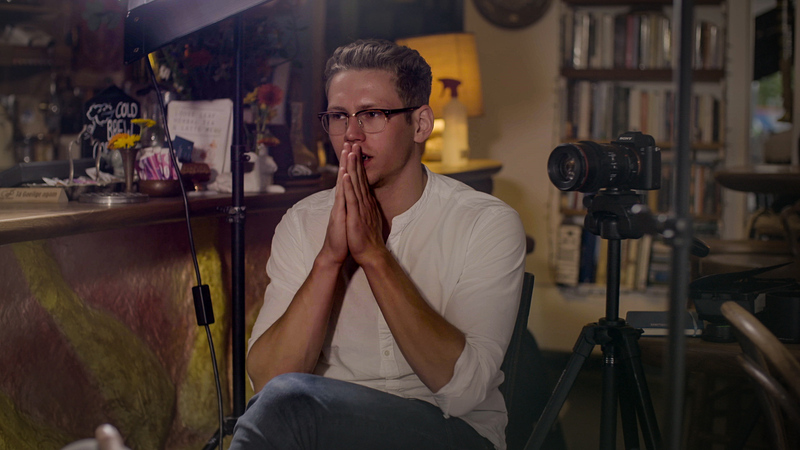 ‘My Other Life: Irelands Young and Their Mental Health’ is being shown on RTÉ 2 at 22:30 on Wednesday 10th October. There is a pre-screening of the documentary taking place at 19:30 on Tuesday 9th October in Devere Hall and everyone is welcome. For more information, please visit the project’s website here.